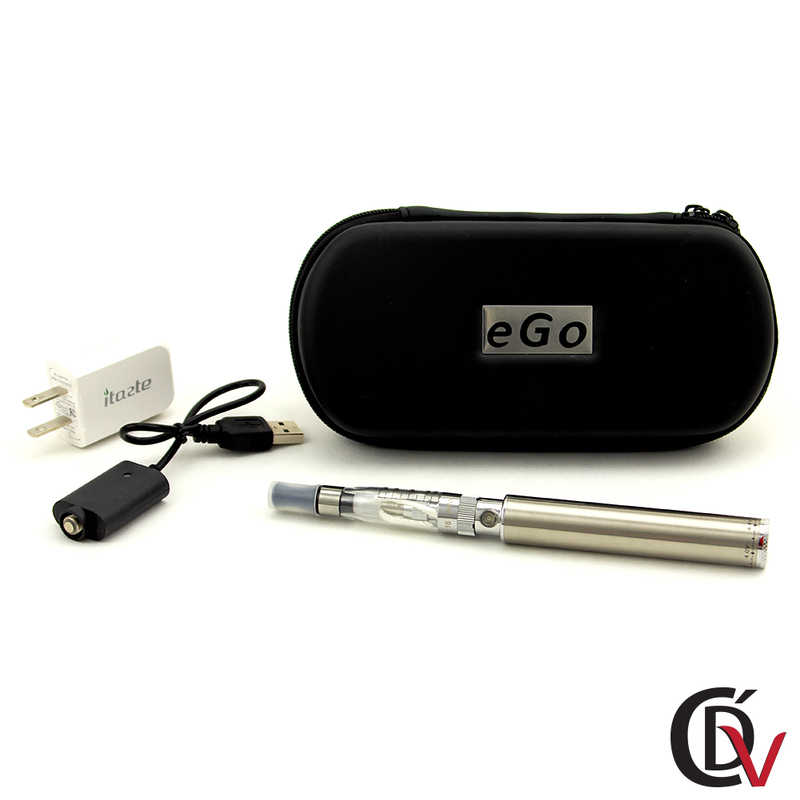 We have designed this Ego Twist Starter kit to help you purchase all recommended parts and accessories necessary to set up your device. Each starter kit consists of a battery, charger, wall adapter, tank and spare atomizer. The 900mah battery can be charged through the base of the battery. This particular size does not come with variable voltage as an option, but it is much smaller and easier to conceal, makes for a great backup battery if you need heavy vapor on the go and lasts roughly ten hours before a recharge is necessary. The 1100mah battery comes with a variable voltage dial located at the base of the battery, ranging from 3.2 – 4.8 volts, allowing the user to manipulate the strength of the flavor and can be charged through the top end of the battery after being threaded onto a 5-10 thread charge USB adapter with a 4.2 output. The 1300mah battery functions the same way as the 1100mah but the 1300mah lasts for nearly 14 hours. All three batteries have the same button sequence: five clicks to turn the battery on, and five clicks to turn the battery off. These batteries allow a ten second pull time, which means the battery will automatically shut itself off if the button is held down longer than ten seconds. You can choose one of the more traditional designs such as an atomizer fed tank, whose coil is located at the bottom of the tank and is most commonly wrapped around silica. Sometimes a metal mesh is applied over the heating coils rather than silica, and some styles of atomizers are designed for dripping. Most atomizer tanks such as the Vivi Nova or Kanger tank refill through the bottom end of the tank. Cartomizers that are located inside a cylindrical tank are very similar to atomizer style tanks, except that cartomizers have poly-fill wrapped around the heating coil. The poly-fill soaks up e-liquid and creates longer vape time compared to an atomizer, however usually your airflow or the pull of the tank is going to be much greater with an atomizer style tank. Clearomizer tanks typically have their heating element located at the top end of the tank with silica wicks stacked on top of each other in a crisscross pattern that runs directly through the heating coils. Filling this type of tank usually involves unscrewing the mouth tip and pouring the liquid in through the top end of the tank, which will generally have a fill line on a hard plastic or Pyrex glass tube. The standard life for both of these tank styles is usually 2 weeks of quality vaping before the heating elements need to be replaced. Other accessories available for your ego twist starter kit are, AC wall adaptors, lanyards, extra coils, extra tips etc. Buy E-liquid wholesale online or know the e-liquid buying tips.